in a world built for everyone, which is why we launched the global Google Impact Challenge: Disabilities earlier this year. The Impact Challenge is a Google.org initiative to invest $20 million in nonprofits who are using technology to make the world more accessible for the 1 billion people living with disabilities. Today, as part of the program, we’re proud to celebrate the U.N. International Day of Persons with Disabilities with three new grants, totalling $2.95 million. Through our grants, the Royal London Society for Blind People will develop the Wayfindr project, helping visually impaired people navigate the London underground; Israeli NGO Issie Shapiro will distribute Sesame, an app that allows people with mobility impairments to control a smartphone using only head movements; and, finally, German grantee Wheelmap will expand its accessibility mapping efforts worldwide. This week, many Googlers around the world will also join Wheelmap’s Map My Day campaign to help out. 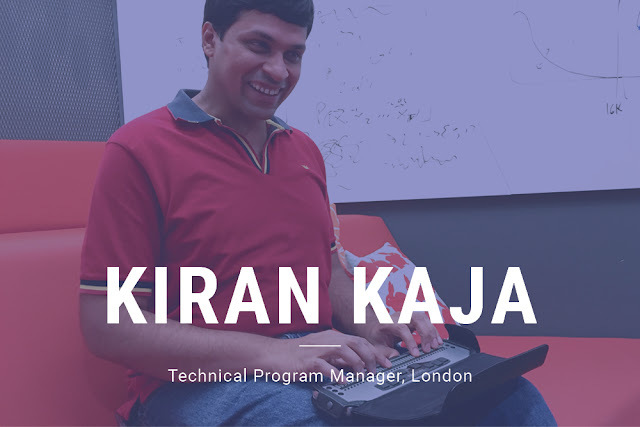 Kiran Kaja, Technical Program Manager, London: Being blind from birth, I’ve always been excited by devices that talk to you or allow you to talk back to them. Today, I work on Google’s Text to Speech team developing technologies that talk to people with disabilities. I’m also helping improve eyes-free voice actions on Android so that people with low vision can accomplish standard tasks just by talking to their phone. This not only helps people with disabilities, but anyone whose hands are busy with another task—like cooking, driving or caring for an infant. The advances we’re making in speech recognition and text to speech output promise a bright future for voice user interfaces. 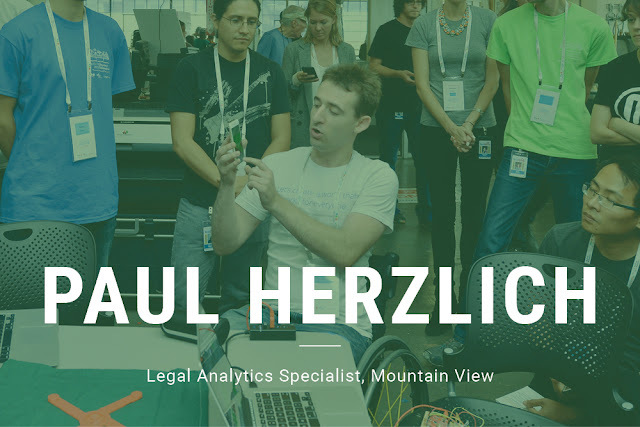 Paul Herzlich, Legal Analytics Specialist, Mountain View: As a wheelchair user from a spinal cord injury, I'm passionate about the potential impact of technology to solve disability-related issues. Outside of my job, I'm working alongside a team of mechanical and electrical engineers, UX designers, and medical professionals to develop a new technology called SmartSeat, which I hope to bring to life in tandem with Google.org through its Google Impact Challenge: Disabilities. SmartSeat is a device that notifies wheelchair users when they have been sitting in the same position for too long by using force sensors connected to a mobile app, thereby helping these users prevent pressure sores. You can watch a video of the early prototype on YouTube. Aubrie Lee, Associate Product Marketing Manager, Mountain View: Like many other disabled people, I’ve spent most of my life as the minority in the room. In high school, I attended a state forum on disability and felt what it was like to be in the majority. Now, I work to create that feeling for other disabled people. 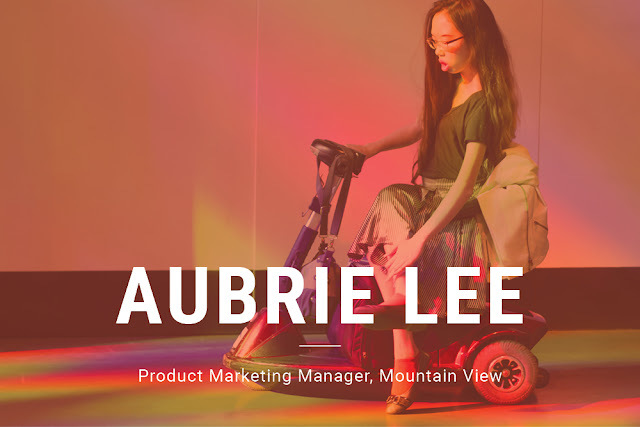 I started the Googler Disability Community, a group that works on changing Google’s physical environment and workplace systems to help make our company truly inclusive. Outside of my job, I enjoy exploring the beauty in disability through photography and poetry. My own disabilities and the way they influence my interactions with others provide endless inspiration for my art. Pablo Pacca, Language Market Manager, São Paulo: I’m in charge of making sure Google’s products are translated well into Brazilian Portuguese for the 180+ million Brazilians who don’t speak English. I’m also an activist and advocate for accessibility and inclusion, both as a blogger on disability issues and the lead for the Google Brazil People with Disabilities (PwD) group. 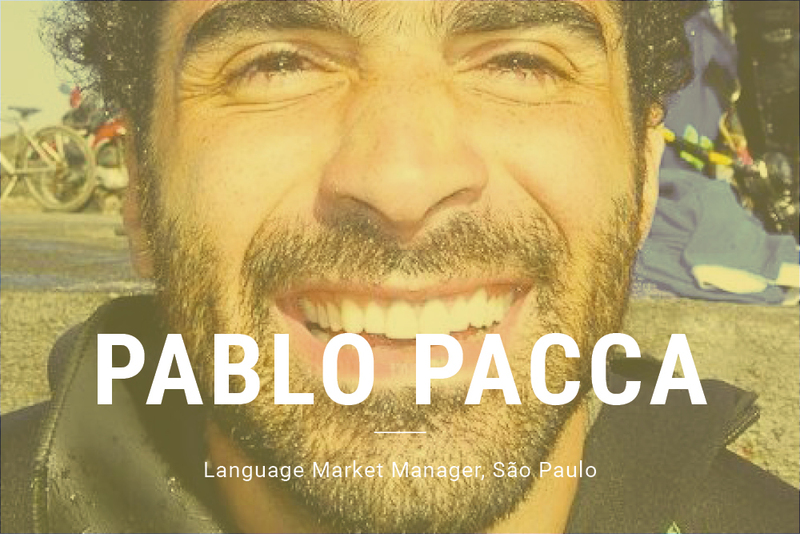 At PwD Brazil, we educate Googlers about disability issues, and work to foster a more accessible office space and inclusive work environment across the company. We believe in a world built for everyone, which is why we launched the global Google Impact Challenge: Disabilities earlier this year. The Impact Challenge is a Google.org initiative to invest $20 million in nonprofits who are using technology to make the world more accessible for the 1 billion people living with disabilities.